AM: Watched the Big 10 Cross Country Championships today. I met my friends Jim and Brandon (former D1 track and cross runner). I hobbled my old man body over some mud after paying $10 to park (way to host Purdue). I had never seen a cross country race, so I was glad to go. Watched some of the lads doing strides near the start line, with a particular attention to arm carriage. I think if I ever figure out how to move these big dumb arms of mine I could get a few more seconds per mile. 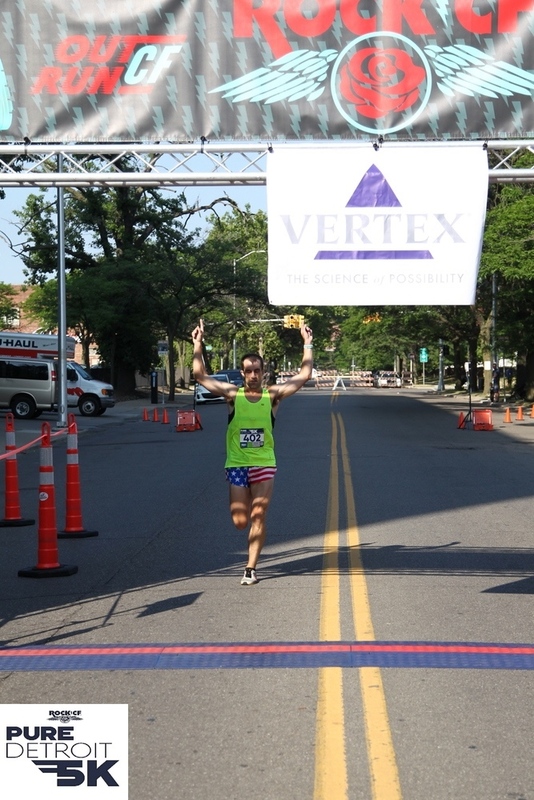 4 mile split was ~19:40 and finish was 24:16 I think, so 4:42-4:45 pace for the final mile. The winner and the top Purdue guy were shoulder to shoulder. In the video below ~2:22 you can see the Purdue guy gets outkicked decisively. The final runner was hunched over, apparently having vomitted, and he looked super out of it. Brandon said, "That's is we call a death march." I told him "We use the same term in distance running and I have never seen anything like that." Several of the ladies flopped at the finish line. Guess I need to rethink my "all I had" recaps. PM: Chatted with my personal physical therapist (my future father-in-law) and he thinks iliopsoa, which makes sense. Pretty big downhill at mile 5 and a short downhill finish, which probably was what did it given that I stopped fairly quickly going into the finish to avoid crushing the volunteers. Likely a combination of many things, but I noticed some soreness in the quads which hasn't happened since my first marathon in 2011. I'm sure I haven't been doing well with my recovery (other than not running, ice, pain reliever), but I should get some more feedback tomorrow. AM/PM: Examination, X-Ray, and MRI today. I found the doctor somewhat smug and antagonistic, but I guess I may have been feeling angry and defensive too. I signed up for a gym membership (shivers). Closer than Purdue (1 mile walk), and as much as I love all my students, my fitness stuff is my time and if I have to be on an exercise bike it will not be to the ambience of Axe body spray. I think I get a complimentary V02 max testing, which I wouldn't normally do but I'd be lying if I said I wasn't curious (it's similar with an IQ test I think. It doesn't make much of a difference if you know). All in all, an expensive day I am sure, especially given the back alley grad student insurance I carry. My leg feels pretty good this morning, and I just jogged around my office a bit. I have also gained about 5 lbs in the last 8-10 days and I need to get to the gym. Trying to decide if running 90+ is too much for me (especially of the course of 10-12 weeks, but a sensible cutback week might have made all the difference). I have tightness in my right PF, which is better but could have got ugly. I have the beginnings of a neuroma in my left foot (4-5 metatarsal), which can be pretty devestating (I've had it in the middle of my foot), and of course this as-yet-diagnosed leg issue, which didn't seem to be getting better but I did some core work that involves legs lifts and I could feel it but things worked out. I realize I didn't stretch enough for the mileage I was running. Some people never stretch, don't do this, don't do that, but I am guessing this is a big mistake. Newton runner Fernando Cabada does 90 MINUTES of strength and plyos after faster sessions. Of course, this is not feasible for everyone (at peak I was running 80-90 minutes in the morning, and 40-60 minutes in the afternnon and much more than 20-30 minutes of "extras" would seem unjustifiable). But I recall Rob taking from a talk he went to that too often we think of strength training, core, and stretching as an afterthought and this is a mistake. Makes sense to me. via Paul: Radiolab: Kenyan Runners. I like the take here. I always assumed the ability was cultural (Haile Gebrelassie notes that he was running 10k doubles on school days), but when we say "African Runners" or "Kenyans" (to refer to those who might be from Ethiopia or elsewhere) we are missing much. The podcast shows that to even say "Kenyans" when we are actually refering to "those runners from Kenya" is reductive of great regional and cultural diversity. Take diet for instance. Megan once told me that I would have to eat a lot of meat if I lived in Botswana, but I get the sense that Kenyans (or maybe just runners) don't eat a lot of meat (different countries of course). Perhaps we should train with kidney stones like Dr. Poulsen? I've been thinking a good bit of Sasha's emphasis on willingness to deal with pain. We invoke this phrase as runners, but after watching college cross country I've been thinking about the Sasha's emphasis on the psychological. Got my MRI results back after having a fun time with the campus health center. It seems I have inherited my father's defective hip joint(s) (don't tell him that; he will think it is his fault and that he ruined my running "career"). I have a cam-type infringement, which means my femoral head doesn't fit neatly in the socket and there's some pinching that is causing the pain. The bad news is it is congenital; the good news is it is cogential--nothing new, but the problem was always a potential, hiding and waiting. The trainer said to knock myself out running if I wished. If I expeirence pain, I can continue if that is what I want to do (in hindsight, this is not great advice given a hitch in my gait could cause other problems). So I just need to be sensible about my running. Even though it may not be bad exactly, flare ups could lead to downtime, making for inconsitent running. I pushed pretty hard to cross this threshold, so hopefully it takes the same amount to cause it again (which would mean staying under threshold, which is easy to do and I can still excel). A few ideas: cutback weeks are not optional, no matter how good I feel. Make peace with cross training. Run on the treadmill as necessary. LOTS of hip and glute work (this should go without saying). Be weight conscious, but not obsessive (getting back to the low 160s would mean a lot less force on the joint). PM: Club Newtone - 6.5 miles in just under 50 minutes, averaged 7:37. Felt really good. Talk to me in the morning though. Walked a mile there, and probably 1.5-2 back. Stopped at Tri-N-Run to get a backup pair of 2XU compression shorts. Newtone - 6.25 miles in 51:44 (8:17 pace)n + 2 miles walking for gym commute. Hip was creaky this morning, but not painful. It gets better as the day goes on. Barely noticeable while running. I asked my parents and my Dad does not have the same condition. Apparently the wear and tear on his body was enough that before 60 he had them both done (which makes me wish I were 20 lbs lighter than I am). I do recall one other hip issue in high school though, but that could have been the hip flexor issue it was diagnosed as. Who knows. I'm sure many folks have seen this, but I tried to send a link to my students this morning and I mistakenly sent Dibaba's masteful race from IAAF Moscow 2013: How many kicks do you see?